Exchange 2013 acting funny? Did you recently demote a Domain Controller? So I demoted a SBS 2008 Server. Uninstalled Exchange and demoted with DCPROMO. The new Exchange Server and new DC were now up. Just to be sure, let's reboot them. The DC came up fine, but Exchange was very unresponsive upon logging in. In addition, applications would not open and nothing would run as Administrator. It only took me a moment to remember that the Exchange Server was looking at the old DC as it's primary DNS Server. The secondary DNS Server was set as an alternate DC that also no longer exists. (We all know that Exchange has a nervous breakdown if a DC cannot be found.) 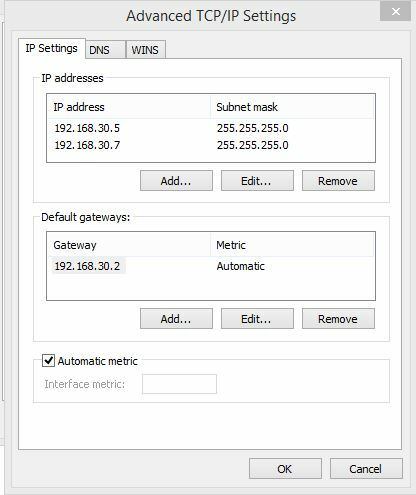 But, because I could not open a Command Prompt as an Administrator, Control Panel, Network Connections, etc., how do I change the DNS Server IP addressing?